Lowercase Noises is Andy Othling, an Albuquerque, NM based guitarist and musician. His new EP called Passage, produced and engineered by Othling himself, contains an eclectic mix of ethereal guitar sounds and other earthy instruments including the banjo and harmonium. Variance Magazine hails the EP as "telling a complex story with cinematic flares and flickers of Othling's banjo. The music is bright, energetic and uplifting." This EP, called Migratory Patterns, is a collection of songs written as a chronicle of the story of the famed 52Hz whale. This whale has been tracked by scientists for years and doesn't seem to be able to communicate with any other whales because of the unique frequency at which it sings. 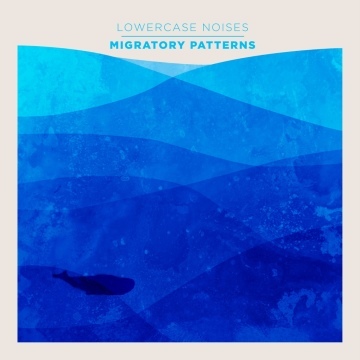 You can purchase a deluxe colored vinyl version of this EP at http://music.lowercasenoises.com/album/migratory-patterns.